Foo Fighters’ Dave Grohl and his mom, Virginia Hanlon Grohl, are executive producing a new docuseries about rock moms, Variety reports. Entitled “From Cradle to Stage,” the show is based on Virginia’s 2017 book of the same name. The series will feature interviews with the mothers of Pharrell, Adam Levine, Tom Morello, and more—as well as Virginia Grohl’s personal stories and family photos. 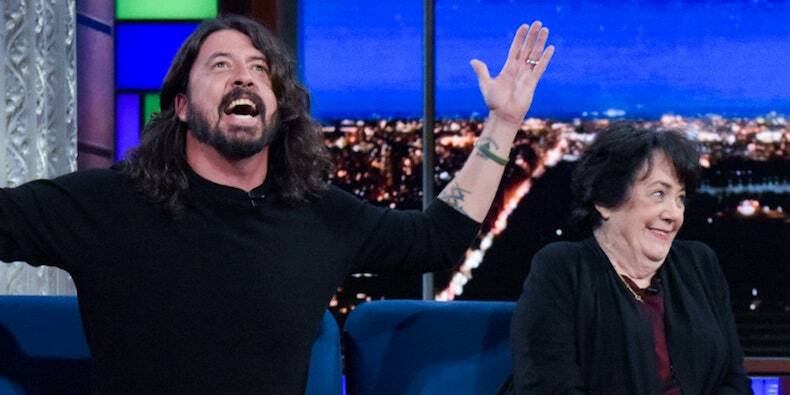 Last year, during their appearance on “Colbert,” Virginia Grohl embarrassed her son by revealing his middle school report card on live television.